In trying to find pictures for Throwback Thursday, I realize I have a lot of pictures of adult beverages (that is said with pride, by the way). As such, I decided that rather than share pictures of me with bad 80s hair and glasses that legitimately covered half my face, I could easily share glasses of a much tastier kind. So without further adieu, I present to you: Thirsty Thursdays! 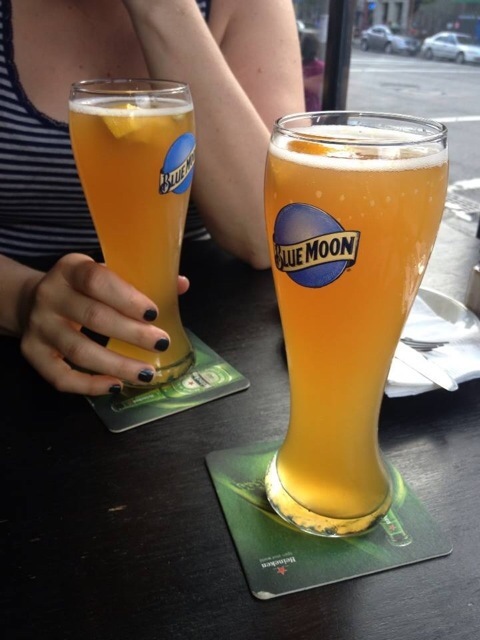 Nothing says refreshing like Blue Moon on draft in the summertime–best served cold, with a slice of orange, and a friend!